Israeli forces raided a mosque in the Eesawiyya neighborhood of occupied East Jerusalem, on Monday, to remove the Palestinian flag and a picture of a Palestinian prisoner. Member of a local follow-up committee, Muhammad Abu al-Hummos, told Ma’an News Agency that Israeli forces raided the mosque, after surrounding it, and demanded to take down the Palestinian flag and a picture of a Palestinian prisoner raised on the mosque. 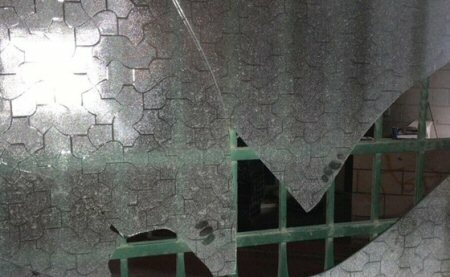 Israeli forces assaulted Palestinians inside the mosque and smashed some of its windows. Abu al-Hummos added that the soldiers also detained the secretary of Fateh in al-Eesawiyya, Yasser Darwish, and another Palestinian identified as Anwar Obeid. Israeli forces were deployed in the area surrounding the mosque. Witnesses said that confrontations erupted in the area, afterwards. Earlier this month, Israeli forces had also attempted to raid the mosque, to take down the Palestinian flag and a picture of a Palestinian prisoner who died inside an Israeli prison.